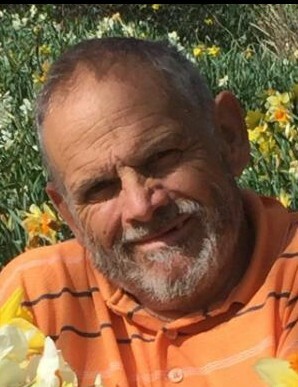 Harold Ray Blachly, 71, of Canton Township passed away March 24th, 2019 at Aultman Compassionate Care Center due to complications from chronic illness. Harold was born on July 31st, 1947 on the family farm on Strausser Road in Lawrence Township to the late Mary and Ray Blachly. 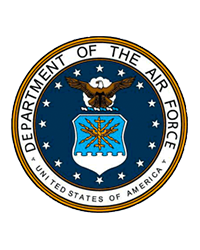 A 1965 graduate of Northwest High School he attended Kent State University and subsequently enlisted in the Air Force. He was stationed overseas in Japan for several years during which time his eldest children were born abroad. One of his fondest memories was that of climbing Mount Fuji as a young American G.I. After his service tour he worked as a machinist for the Timken Company for thirty-five years. Following his retirement he devoted his life to getting in touch with his rural roots and local community. Harold spent the remainder of his years planting and tending a large flower and vegetable garden on his property. For almost thirty years he operated a roadside produce stand that relied on the honor system, took home numerous blue ribbons for his vegetables at the Stark County Fair, and sold home-grown rhubarb to local markets and restaurants. In his final season he cared for his over 100,000 daffodil and tulip bulbs in spite of his failing health and a related amputation that left him wheelchair bound. In his last decades, he would use his flowers to brighten stranger’s days, taking bouquets to nursing homes, friends and strangers, as well as the Aultman Cancer Center where he too was a patient for seven years. In addition to horticulture, Harold enjoyed collecting antique tools and taking day trips to visit his Amish brethren in Holmes County. Proud of his military service he visited schools on Veterans and Memorial Day where he would speak to children and pass out handmade wooden puzzles. He wanted future generations to embrace the virtues that defined him: selfless service, critical thought, and kindness. Harold is survived by ex-wife and mother to his children, Bonnie Blachly, son Trevor (Kate) Blachly of Powell, daughter Theresa (John) Flanagan of Xenia, daughter Emily (Adam) Fisher of Hamilton; as well as his nine grandchildren Andy, David, & Grace Blachly, Lucas, Connor, & Sawyer Flanagan, and Xander, Keria, & Viera Fisher. He is also survived by his brother Ralph Blachly of Akron, sisters Martha Blachly-Cross of Cleveland, and Margaret Ross of Canal Fulton. Harold is also survived by his devoted friend of eighteen years, Susan Miller of Canton. He is preceded in death by his parents, his brother Robert, sister-in-law Bonnie, nieces Audra & Paula, brother Herbert, and sister Paulette Blachly. After cremation he will be interred at the Ohio Veterans Memorial Park in Clinton, Ohio. Memorial service will be SUNDAY, March 31st at Swigart-Easterling Funeral Home, 624 Cherry St. E. (Rt. 93) Canal Fulton at 2PM. Friends are encouraged to attend a late luncheon thereafter. His guestbook and Video-Gift tribute may be viewed online at www.SwigartEasterlingFuneralHome.com.